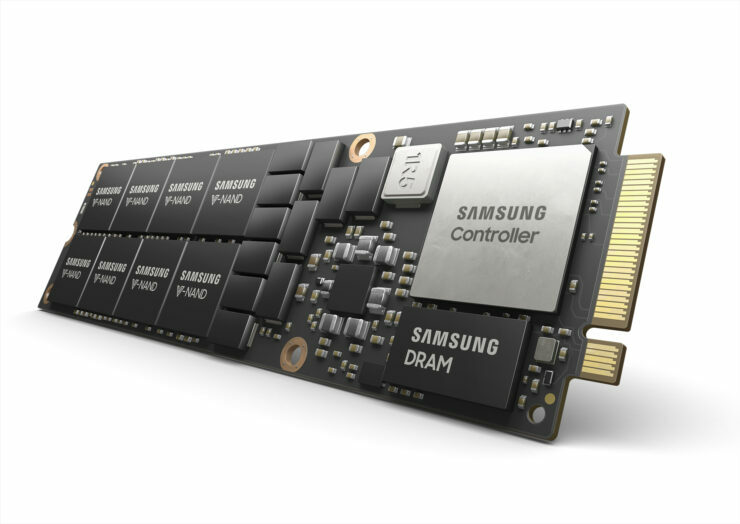 Samsung has just announced their latest 8TB NVMe SSD based on the next-generation NF1 form factor. 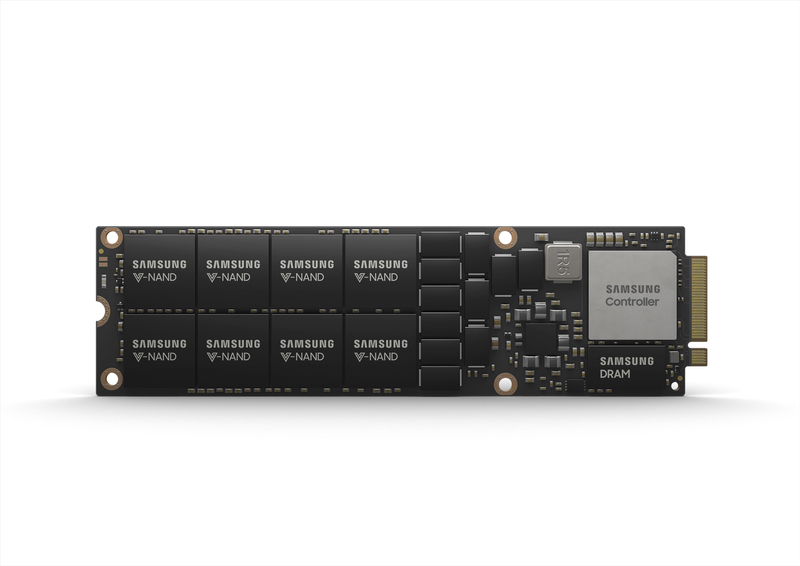 The new Samsung SSDs are aimed at the data-centric market with the focus towards data-centers and enterprise server systems. 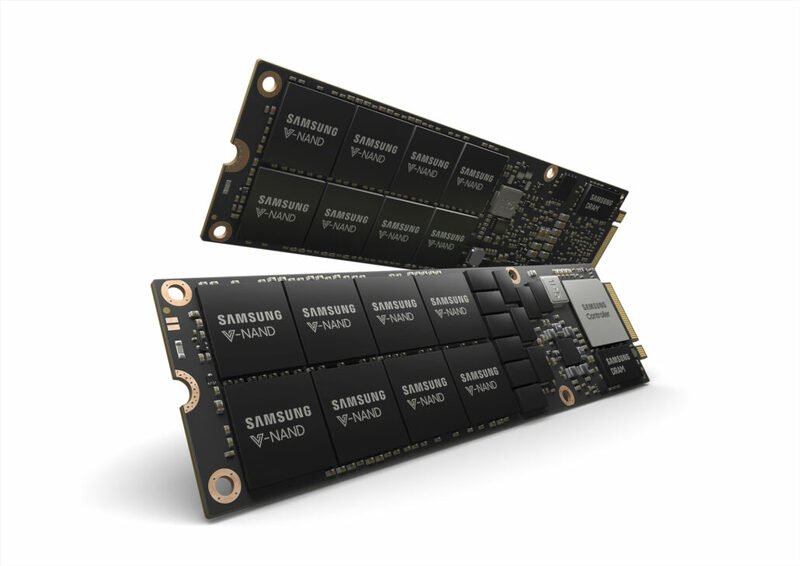 The Samsung 8TB NF1 SSDs are NVMe 1.3 and PCI-e 4.0 compliant, designed with the leading edge 512 GB V-NAND packages by Samsung themselves. A single NF1 stick uses 16 V-NAND dies to make up the 8TB capacity. The SSDs also come with twice the density of M.2 which is possible on the next generation NF1 or NGSFF (Next-Generation Small Form Factor). Utilizing a new high-performance SSD controller, the drives can deliver sequential read speeds of up to 3100 MB/s and sequential write speeds of up to 2000 MB/s. The drives also rack up 500,000 IOPs and 50,000 IOPs (Read & Write) while featuring 12 GB of LPDDR4 ram as a cache. To ensure long-term data reliability, the NF1 NVMe SSD has been designed with an endurance level of 1.3 drive write per day (DWPD), which guarantees writing an entire 8TB of data 1.3 times a day over its three-year warranty period. You can read the full press release below. The new SSD is built with 16 of Samsung’s 512-gigabyte (GB) NAND packages, each stacked in 16 layers of 256 gigabit (Gb) 3-bit V-NAND chips, achieving an 8TB density in an ultra-small footprint of 11cm x 3.05cm. This is twice the capacity offered by the M.2 NVMe SSD (11cm x 2.2cm) commonly used in hyper-scale server designs and ultra-slim laptops. The NF1 SSD is expected to quickly and easily replace conventional 2.5-inch NVMe SSDs by enabling up to three times the system density in existing server infrastructure, allowing for an unprecedented 576TB of storage space in the latest 2U rack servers. The NF1 SSD features a brand new, high-performance controller that supports the NVMe 1.3 protocol and PCIe 4.0 interface, delivering sequential read speeds of 3,100 megabytes per second (MB/s) and write speeds of 2,000MB/s. These speeds are more than five times and three times that of a typical SATA SSD, respectively. Random speeds come in at 500,000 IOPS for read operations and 50,000 IOPS for writes. Utilizing the new NF1 storage solution, an enterprise server system can perform over one million IOPS in a 2U rack space, significantly enhancing the return on investment for next-generation large-scale data centers. The SSD also includes a 12GB LPDDR4 DRAM to enable faster and more energy-efficient data processing. * Next-generation Small Form Factor (NGSFF) is the latest SSD standard which is expected to be standardized by JEDEC in October. It succeeds the M.2 standard and can more than double the space utilization within server systems. ** NGSFF is also referred to as NF1. 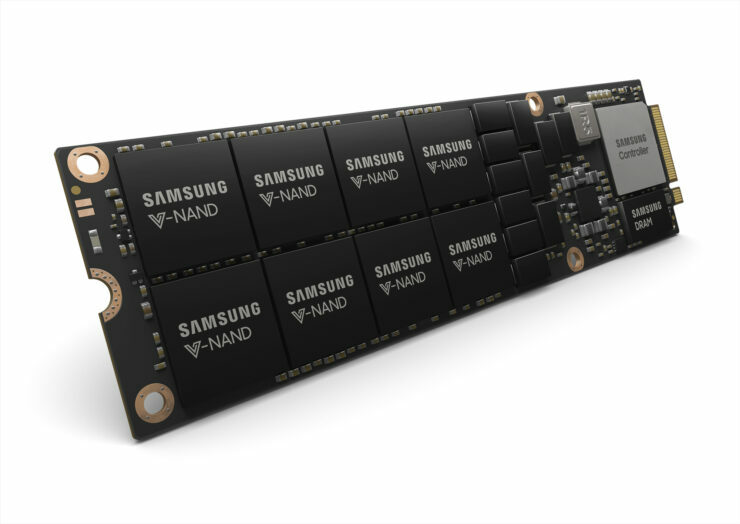 Samsung plans to accompany its 256Gb 3-bit V-NAND-based SSD with a 512Gb version in the second half of this year to accommodate even faster processing for big data applications, while also accelerating the growth in next-generation enterprise and mid-market data centers.